Pirouetta bounds into the spotlight with the exuberance and grace, joyfully in love. Each elegant detail, glittering swirl, delightful peek-a-boo diamond, and glorious halo is designed and beautifully handcrafted with love’s vibrant dance in mind. The unique details in this collection are inspired by all things dance; some designs feature swirls of diamonds that interlace like the ribbons and bows of a ballet slipper, others are intricately detailed with our hand-engravings and milgrain-edged signature filigree. Each design is customizable so that your romantically radiant engagement ring and wedding band perfectly symbolize the dance of your own heart’s desire. This breathtaking, split-shank, two-tone engagement ring features a bow detail on either side of the magnificent, halo-encircled center stone, which not only nods to Pirouetta the dancer, but also the ultimate gift: the proposal of your dreams from the love of your life! This ring is spellbinding from every angle — each side features filigree-framed, two-tone swirls of milgrain detail surrounding a gorgeous peek-a-boo diamond over an arc of even more dazzling diamonds. This meticulously handcrafted and delightfully detailed two-tone halo engagement ring features an interlocking ribbon of rose gold which creates an elegant halo around its captivating center stone. This design features our signature wheat hand-engravings for a truly timelessly classic look. 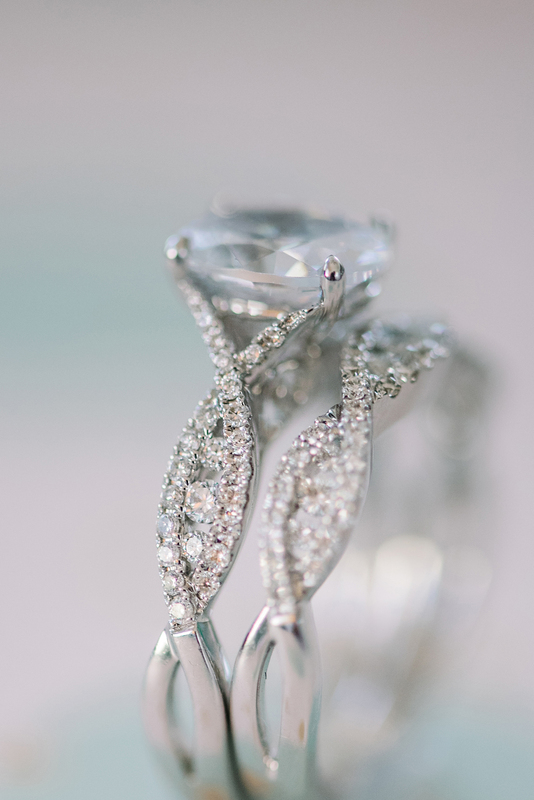 This gorgeous design spins and sparkles with swirls of diamonds that truly seem to mimic the pirouette of a prima ballerina. Each delightfully diamond-sparkling ribbon is detailed with our handcrafted milgrain edging and features an elegant filigree peek-a-boo detail on either side. Add your favorite romantically feminine Pirouetta designs to your “Love These!” list right away, and don’t forget to shop the perfectly matching Pirouetta wedding bands to create a gorgeous, seamlessly coordinating set.